All you fathers and daughters please join us on Saturday, January 12th! 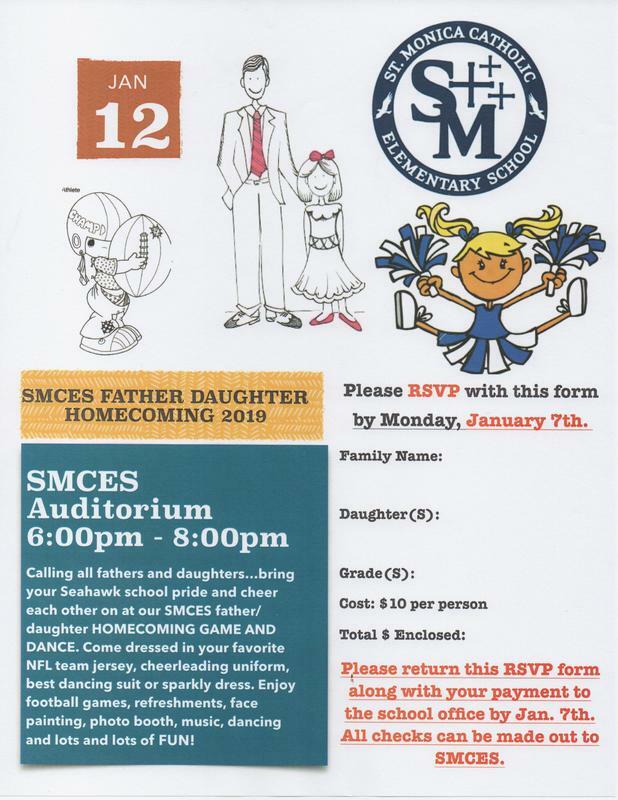 Calling all fathers and daughters....bring your Seahawk school pride and cheer each other on at our SMCES father/daughter HOMECOMING GAME AND DANCE. Come dressed in your favorite NFL team jersey, cheerleading uniform. best dancing suit or sparkly dress. Enjoy football games, refreshments, face painting, photo booth, music, dancing and lots of fun.